Buy or Rent Handy Manny: Big Race (2010) Movie DVD & BluRay Online! 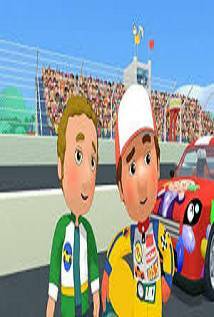 Movie Plot: Handy Manny is back in his latest adventure, putting his foot to the metal in the Wood Valley 500 car race! Manny and the Tools and their friend Elliot have to turn a beat-up jalopy into the fastest, most coolest racecar ever in order to win the Wood Valley 500 race! It’s going to take some serious teamwork, but Manny and friends can get the job done! When Elliot is unable to take the wheel, it’s up to Manny to win the race!